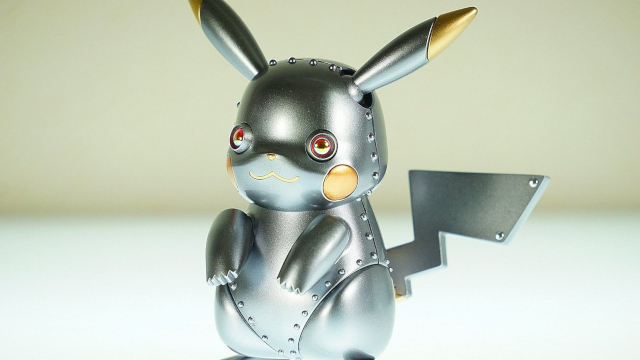 A fan-made mecha Pikachu figurine has turned Pikachu into a shiny robot! The mecha Pikachu figurine was designed by Shinpei Makoto, who based its design on the Pokepura Pikachu fully posable action figurine. Below are several full sized images of the mecha Pikachu figurine. They show some interesting variations on his appearance involving his mouth and right paw. In some additional news from Japan, Shine Co. Ltd teased a couple of new Pokémon related products coming to Japan later this year. The Pikachu Runrun Cleaner is desk roomba-style vacuum with a Pikachu sitting around on top of it. It will sell for 3,218 yen (US$29). 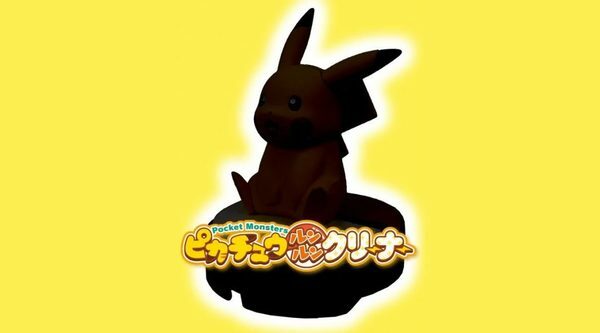 They also teased the Pikachu Puni Light, which is a special lamp that reacts to sounds. It also includes a singing/dancing mode, something most lamps can’t say they have. It will be priced at 9,698 yen (US$88).